-ask what time it is. Telling time is an important measurement skill. Depending on the age of your students, you can ask them what time it is, how much time has passed since…, what day/ month/ season it is, etc. Make sure they have access to analog clocks and calendars. Bonus points for using timelines to figure out how many days/ minutes/ hours/ seconds have elapsed! -have the students put things in order by measurement unit. This can mean lining up by height or by foot length/ hair length, putting potted plants in order by planter capacity, putting backpacks in order by weight, etc. (It’s also a fun way to line up when it’s time to go somewhere!) Even if the students aren’t yet ready to use actual measurement units, they can still put thing in order based on their measureable properties. -graph stuff. Having a party? Make a pictograph of what food everyone wants. Just took a spelling test? Make a line plot of the scores (anonymously!!). Graph the weather/ temperature, what color sneakers everyone has, lunch requests, anything. Bonus points if you’re graphing something you first have to measure! -fill your classroom with containers labeled with their capacity. Label every student’s water bottle. The pencil cup. The bucket where you keep the lunch boxes. Every container can be labled with its capacity in both metric and customary units. Students need to interact with these objects in order to have a reference point when using them. Bonus points if you can get them to start looking for the capacity of every container they find… the lunch room and art room are especially good for this! -practice counting, adding, and subtracting money when the opportunity arises. Kids can count coins for fundraisers, their lunch money, their change, field trip costs, etc. They can add up the costs of books in the library (the prices are often on the back), how much was spent on a party, orthe cost of their school supplies. Bonus points if you can create a reward system that uses pretend coins and money! Measurement concepts and skills are a little different from other math strands. Kids need direct instruction on how to measure, but also need to be engaged with measurement units and concepts in order to internalize them. The more opportunities students have to interact with and manipulate these units and skills, the deeper their understanding will be. 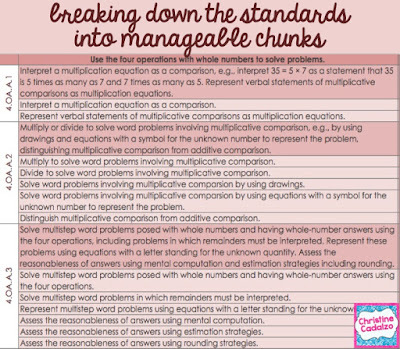 Then, when it comes time to apply these concepts in estimating or problem solving, either in math or in real life, they will have strong, well-developed concepts on which to rely. 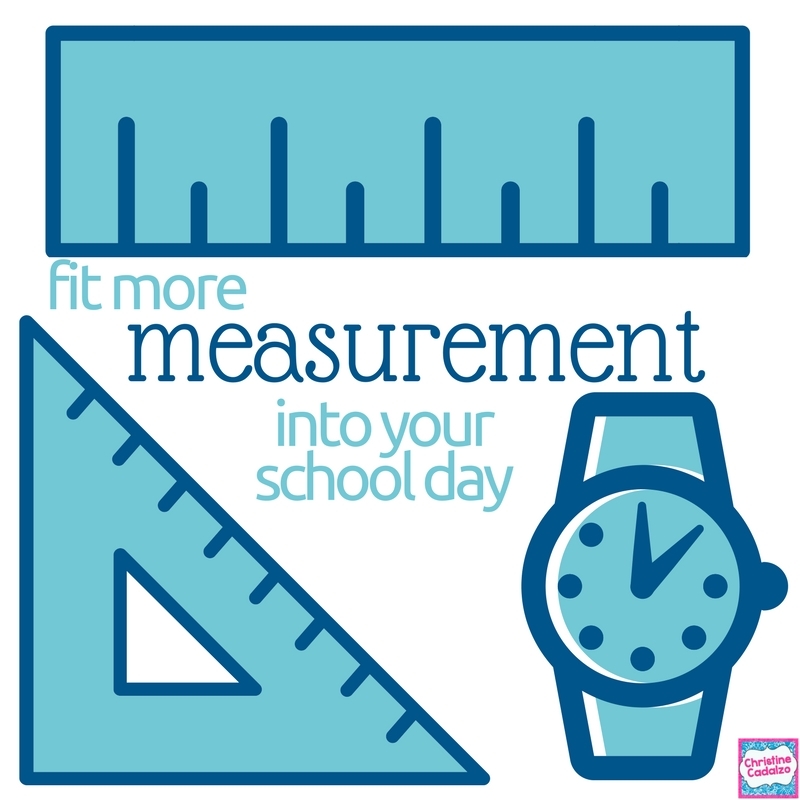 pssst... for ready-made measurement resources, click here! -identifying on which attributes to focus and which to ignore. Anyone who’s heard a recent political argument where the opposing side focuses on minor details can see why we need this. -finding the defining common attributes. We use this to simplify our overwhelming world. Think of all the variations of drinks that could be called ‘coffee.’ If we stop to define each of them every morning, we’d never get to work. We use this all the time in decision making. Why is one choice better than the other? What properties do they have in common? Which are different? It’s through classifying quadrilaterals that we learn the ‘all squares are rectangles, but not all rectangles are squares’ concept. Very young children will overgeneralize and call anything fluffy a ‘dog.’ As they become more and more refined at classifying things, they start to realize that this one is a Labrador, but it’s still a dog, and this one is a bear, which is not a dog at all. They learn that dogs and bears are both part of a larger group called ‘mammals.’ This is a big step for developing minds. Seeing how categories fit together an overlap helps students make sense of what is otherwise chaos. It helps them see where the commonalities lie and what separates them. -understanding the idea of ‘mutually exclusive’ groups. This concept that, if something is in one group, it cannot possibly be in another group is crucial for making sense of the world. Students learn that by classifying quadrilaterals. They learn that trapezoids and squares are mutually exclusive groups, and that a shape cannot possibly be in both categories. It’s the opposing concept to the ‘all squares are rectangles’ concept. Teachers know the importance of these skills, even if meme-makers and drunk uncles don’t. That’s why preschool teachers let students sort objects. They sort them by size, color, shape, etc. It’s the concrete beginning of being able to classify things (and later ideas) by specific property. As students grow, they begin to sort letters and numbers, capitals and lowercase, and eventually different fonts and scripts. But sorting and classifying is the basis for being able to do this fluently and become literate. We adults use these classifying skills all the time without even realizing it. When you walk into a grocery store, you know where to find spinach, because it’s a vegetable and falls under ‘produce.’ Yes, it’s also green, but that’s not the defining attribute because grocery stores are not organized by color. On a more complex level, we use the same set of skills to organize the natural world. Scientists categorize plants and animals based on common characteristics. We need these classification skills to navigate the everyday world. And we can develop them through sorting and classifying quadrilaterals. 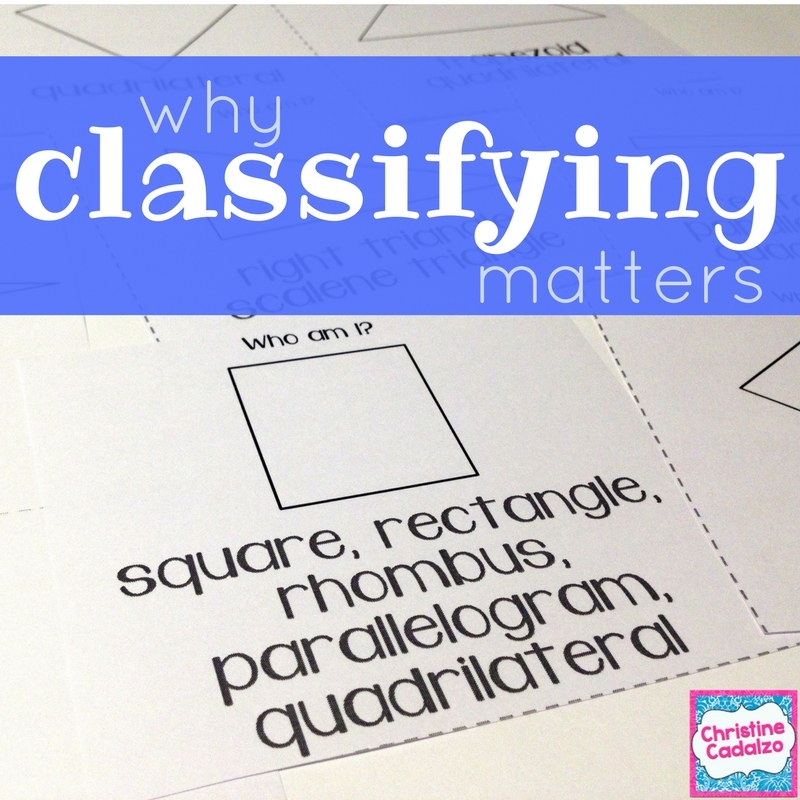 Happy Teaching (and Classifying Quadrilaterals)!! 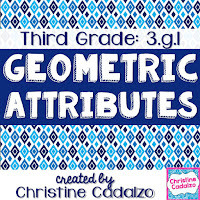 for teaching and practicing classification for third grade or fourth grade. -understanding of how to compose and decompose fractions. Can they add and subtract fractions with LIKE denominators, first? Do they show understanding and flexibility of this concept, or do they only know that they have to add the numerators and not why? -fluency with multiples and the multiplication times tables. Multiples are the basic patterns on which equivalent fractions work. If students are struggling to skip count or to work with basic multiplication facts, they will inevitably get stuck on this one step of the process. If they have to stop and think about think about a multiplicaion fact, they tend to lose the larger picture of the problem they are working on and are much more likely to make errors and lose their place completely. The more familiar students are with multiples, the easier it will be for them to quickly recognize the lowest common multiple, or lowest common denominator, for any two fractions. -understanding fraction equivalency. In order to add or subtract fractions with unlike denominators, we have to be able to convert one or both of them to an equivalent fraction, and we have to understand why that works in order to fully apply it. Students need a solid understanding of how equivalent fractions are formed and the patterns they create, so that they can fluently generate and recognize equivalent fractions. -fluency generating equivalent fractions. This is a step where students will get stuck if they cannot form equivalent fractions quickly and accurately. -understanding of concepts of fractional size and being able to use benchmarks and estimation to judge whether or not their answer is reasonable. This is important for making sure their answers makes sense and realizing when they’ve made a mistake, so they can correct it. -understanding of improper fractions, mixed numbers, and how they relate to each other. Students should be able to move fluently between the two, and should have a strong understanding of how they are connected. If students lack basic conceptual understandings for improper fractions and mixed numbers, manipulating them and working with them will be very difficult for them. -fluency and understanding converting between improper fractions and mixed numbers. Converting is not always necessary for addition or subtraction, but it offers students another option for how to solve the problem, and another strategy for working efficiently. 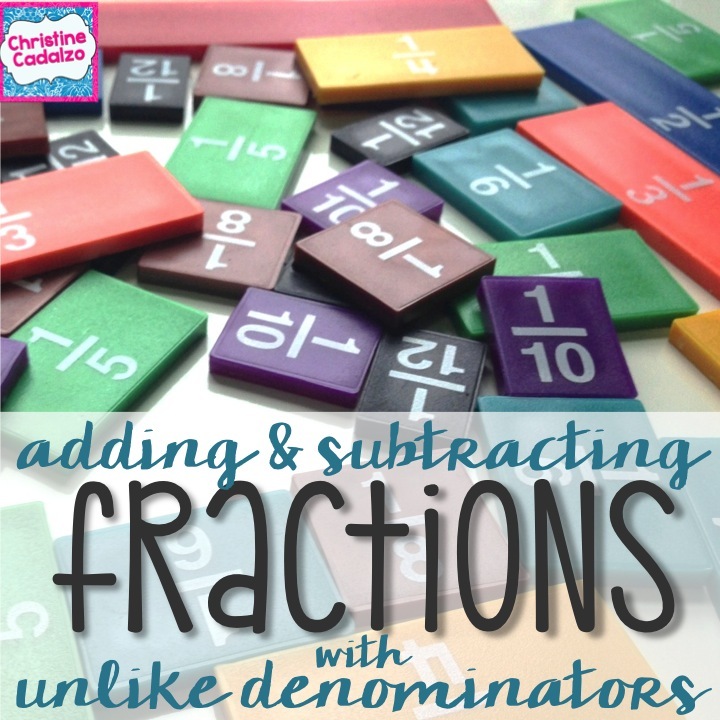 If your students are struggling with adding and subtracting fractions with unlike denominators, it’s possible that the breakdown is in one or more of these areas. Do a quick assessment to find out which one(s) and provide students with support to strengthen their conceptual weaknesses and practice in areas where they need to become more fluent. Students who are strong in all of these areas will be able to add and subtract fractions with unlike denominators fairly easily. It’s a difficult concept, but if you break it down, the pieces are much more manageable for our students. 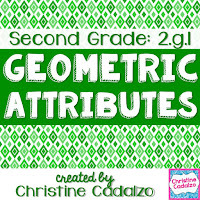 If you're looking for a ready-made math unit that makes adding and subtracting fractions with unlike denominators easy for kids to understand, click here. Assessments can be a stressful event for students. They can feel like punishment for not learning ‘enough’ or being ‘smart enough.’ Students can develop low self-esteem and feel unmotivated if they think that they “should’ be able to do everything perfectly, all the time. And teachers can become stressed and overwhelmed trying to push students harder and calm their fears simultaneously. 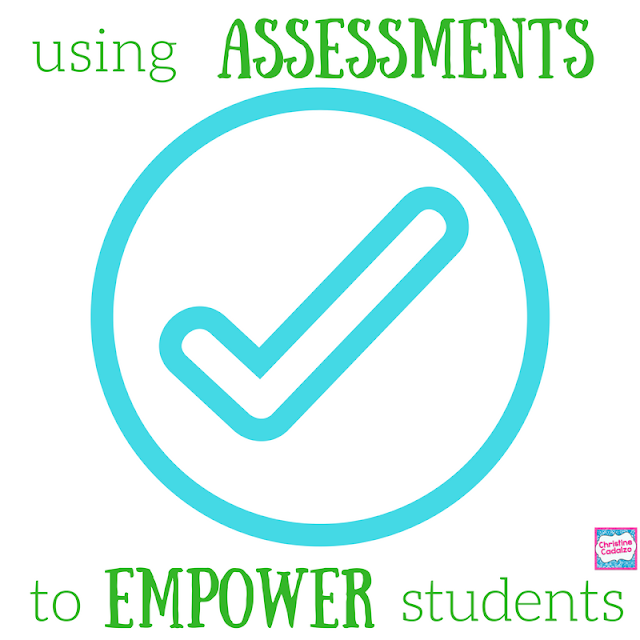 But assessments can also be a tool of empowerment for students. When you know what you can already do and what you need to work on, you feel more in control of your learning. If we teach kids to view assessments as a way to measure what they CAN do, instead of what they can’t, it will be enable them to feel proud of their accomplishments. -Use rubrics and other holistic grading systems for qualitative work. Students may not always see the change in their overall grade, but when it’s broken down, they can see it more clearly. They may score an overall level 3 on two consecutive essays, but a rubric will help them see that all of their work on editing has improved their punctuation mark tremendously. 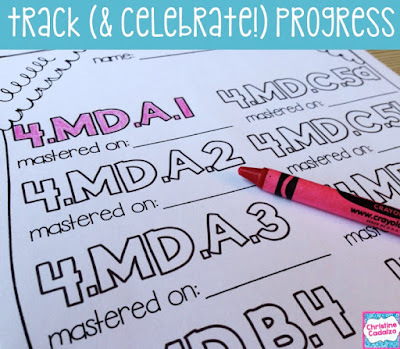 -Track and celebrate progress. The more often we can do this, the better. Tracking and celebrating helps us stick to our goals and stay motivated to pursue new ones. -Accept that being able to do things with a little (or a lot) of help is part of the process. It’s a step up from not being able to do them at all. Sometimes kids (and adults!) think that, if they can’t do something completely and totally on their own, then that is equal to not being able to do it. In reality, it’s more of a progression, and good teachers know this and help their students understand it. We can’t do something, then we can do it with a lot of help, then with a little help, then on our own. The self-assessment at the bottom of my one-page math assessments. -Know when perfection is needed and when accuracy is important, and when it’s not. In other words, know when to focus on the product and when to focus on the process. Don't have portfolios yet? 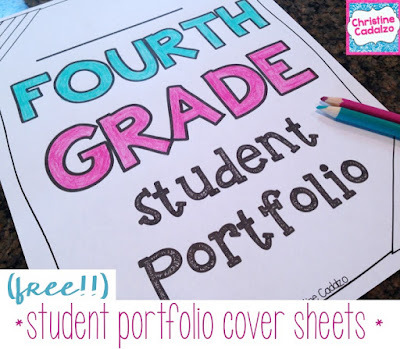 Get started with these FREE cover pages- for grades 1-5. -Remember that learning is not linear- especially for more complex tasks and concepts. Kids’ brains are constantly growing and developing. They have good days and bad days, just like us. They may be able to do something brilliantly one day and struggle with it another day. It’s a process, and that’s ok, and students should know that so they don’t become frustrated. After all, no one goes off to college and still can’t tie their shoes… it always works out if you keep trying.